"Kit Constable Maxwell's latest book offers a fascinating and concise overview of the spiritual development of the human species. Beginning with the biological origins of life itself, he steers us through the development of mankind's religious aspirations, right through to the latest developments in depth psychology and the modern day search for spiritual meaning. Mr Constable Maxwell has an ability to communicate complex and wide-ranging information with clarity and humour, without diluting the seriousness of his subject. This is not just a "hitchhiker's guide" to the history of mankind. There is an argument which runs throughout his book, or rather an exhortation to acknowledge the spiritual cross-roads at which the Western psyche finds itself in the twentieth century: namely, do we continue to march on in blinkered allegiance to the doctrine of authority, by which world religions have kept its followers in line for thousands of years, or do we embrace our new-found freedom to develop our own inner spirituality? Mr Maxwell highlights this crisis facing the modern soul, but he doesn't lecture us. What he offers us is a distillation of his thorough experience of the different avenues we might choose to take in our own search to clarify what we feel about life, about death, and about the soul. His book challenges us to question our own spiritual traditions; it encourages us to explore other spiritual paths with both tolerance and impartiality. Ultimately it is a book which searches for the truth. Mr Maxwell's book will outrage those who are unable to allow themselves to join him in that quest, and be an invaluable help to those who can." Front Cover - "Of quest and dilemma"
This short overview of the nature and destiny of humanity is intended to foster a broadening of spiritual perspective and to encourage further study or debate as readers may feel inclined. It is not my intention to dissuade readers from any truly held beliefs or valid social or religious persuasion - only to enquire if these beliefs are really theirs. If a reader's philosophy of life gives him or her true satisfaction, then it is neither my intention nor my right to question it. "The flea's concept of awareness is dwarfed by unknowing - he lives out his life without any capacity to understand what motivates his host, what he looks like or how to appease him." The call of mankind's spiritual yearning has engaged the greatest thinkers throughout history, and these have generally led us to collective rather than to individual definitions of life. Early social orders employed every means to unite their number, from tribal and religious ceremonies to initiation rites, witch hunts and persecution. But such tools are now outmoded - the birth of psychology changed all that. The physical, emotional and intellectual development of mankind has now progressed, in this age, to a point where we are free to pursue purely individual paths of conscience. People now have the knowledge, the intellect and the political freedom to pursue these paths, probably for the first time in history. This is the time, like no other, to seek out and nurture our own individuality. 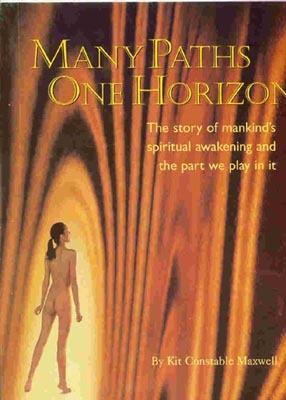 In this book I review the many aspects of our evolving species. From Evolution to the birth of Awareness, from Astrology to Spirituality, each has a bearing on the totality of our nature, and I discuss each as an introduction to further study. Our human race is both good and bad, happy and sad - and our greatest tragedy is our inability to know why. Most of us are strangers in our inner world, unable to understand the energies and emotions that drive us; unable to see, or worse, unwilling to look. These pages stem from my lifelong interest in every field of human awareness in both Eastern and Western cultures. They are drawn from consultations, readings, seminars, meditations, spirit guides, religions, regression, lectures, theses, encounter groups, psychology, philosophy and hypno-therapy, all combined with much study on related issues. I believe that peace and purpose is the reward for inner growth, and that inner growth is the goal and salvation of mankind.